Rental Stops EZ carrier is a simple and easy way to load and transport our small equipment tools, such as tillers, push mowers, sewer augers, etc. 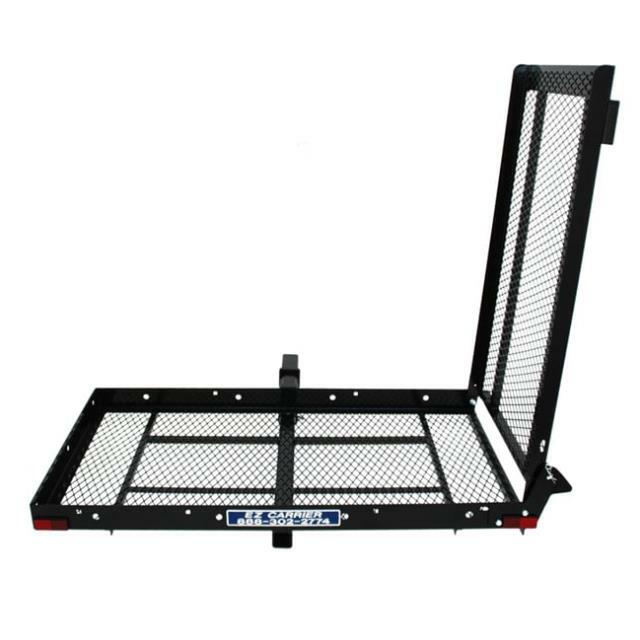 The carrier features a sturdy steel frame and mesh floor for easy cleaning. This carrier has a durable powder coated black finish. The EZ carrier is available for class 3 receivers and is designed for various hitch heights. The EZ carrier is a non-folding carrier. * Please call us for any questions on our carrier e z rentals in Dallas, Fort Worth, Arlington, Grand Prairie & DFW Metro Area.